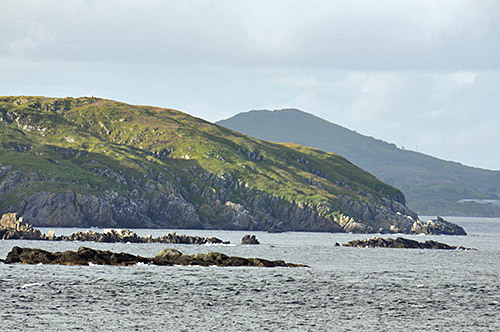 This is a view from the ferry to Port Ellen, in the foreground is the northern end of Texa, behind it the south coast of Islay. I'm not sure what the hill on Islay is, I think the buildings on the right might be Stormcats at Lagavulin. Or are they warehouses at Ardbeg? Not sure about the angle really. In any case, I love the light and the colours in this view. With that it's time to say good night and wish you a great weekend. I think tomorrows blog entry will be obvious? Yes, of course I will write more about Doc Searls Islay from the air pictures.